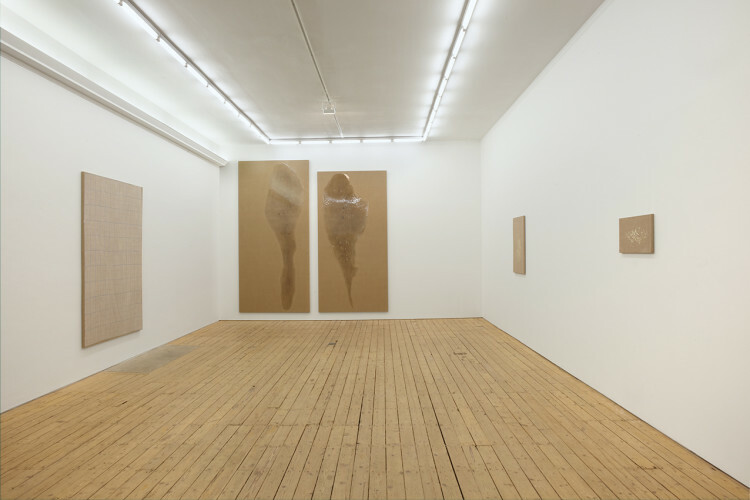 The Approach is pleased to present Helene Appel’s second solo show in London. 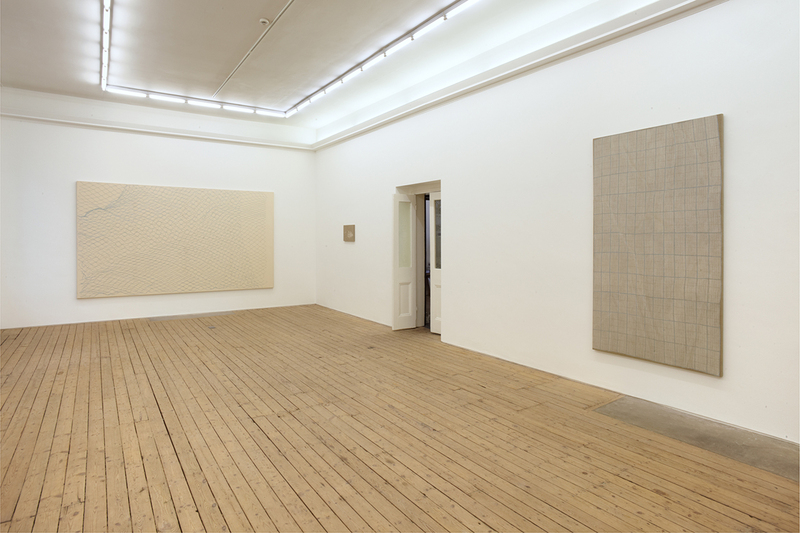 Appel’s paintings all have a feeling of repetition, a rhythm and labour associated with the domestic realm and not usually connected to painting. The precise beauty of the rendering of the objects contrasts with the ephemeral and everyday nature of the objects themselves. The objects painted– cut onion, grains of rice, a sheet– are part of an everyday vocabulary of informal systematic handling. Processes such as the chopping of onions create a composition we regularly see but rarely pay attention to. In Appel’s work, something so overlooked and now painted with intense attention to detail brings contemplation to the abstraction. 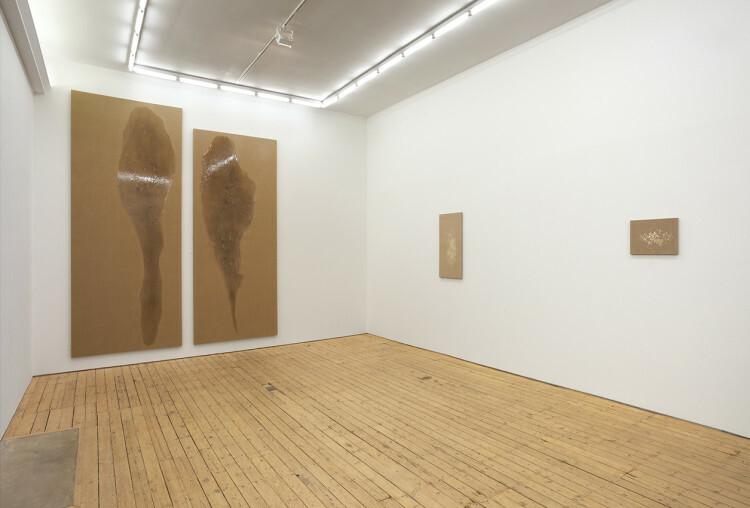 Appel is interested in the pictorial quality that these objects intrinsically have; simply by painting them, something happens that takes them away from recognizable representation. Each object is painted to an exact scale representation, held by faint shadows only slightly off the surface of un-primed canvases. Shifting in register, from a pile of grains of rice, to a giant industrial fishing net, Appel chooses each object because of its inherent aesthetic character. With the painting of the rice there is a visual investment in concentrating on the quality of each grain and recognizing what happens between them. These are not still-lifes in the traditional sense, the aerial perspectival visual description challenges the conventional representation and makes the painting more akin to a readymade or an abstract painting. Appel’s approach to the shifting scale and way the paintings are placed around the gallery also emphasises this conceptual quality. Her intention is not to deceive the eye with paint, but for the paintings to evoke the presence of the object. 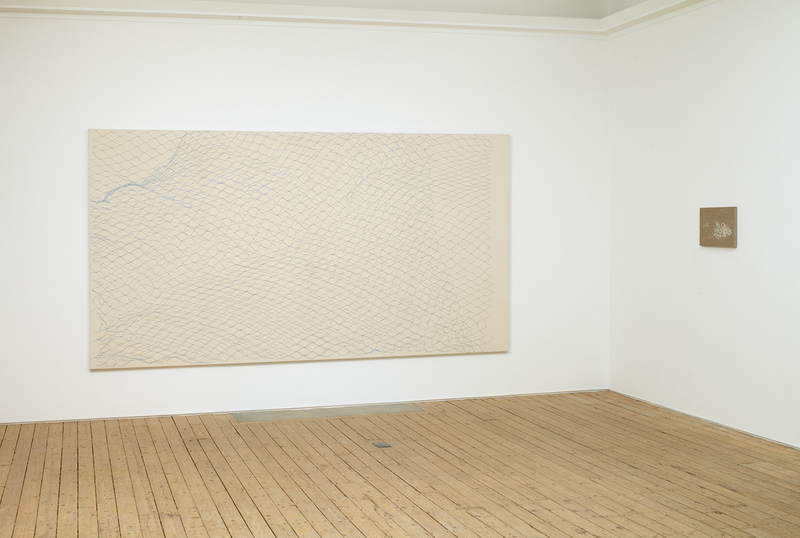 This ‘objectness’ manifests itself both in Appel’s choice of subject matter and handling of materials – the fishing net has the visual quality of the water it inhabits, fluidly moving and stretching across its surface. The grid like structure creates a reference to op art and its illusionary entanglement, but also to the way a net functions. The canvas that the chopped onion paintings are painted on become surrogates, visually taking the place of the ‘Chopping Board’. In the two large-scale puddle paintings the surface of the raw canvas fabric creates the background to the puddle, the resin on the surface replicates the water itself, sitting just above the ground, with painted rocks caught in the space in between and reflections shimmering across the surface. Helene Appel was born in Karlsruhe, Germany (1976). She studied in Hamburg before moving to London and graduating from The Royal College of Art in 2006. Recent solo shows include: Der Vorschuss, Luis Campaña, Berlin, Germany (2009); Anna-Catharina Gebbers | Bibliothekswohnung, Berlin (2007). 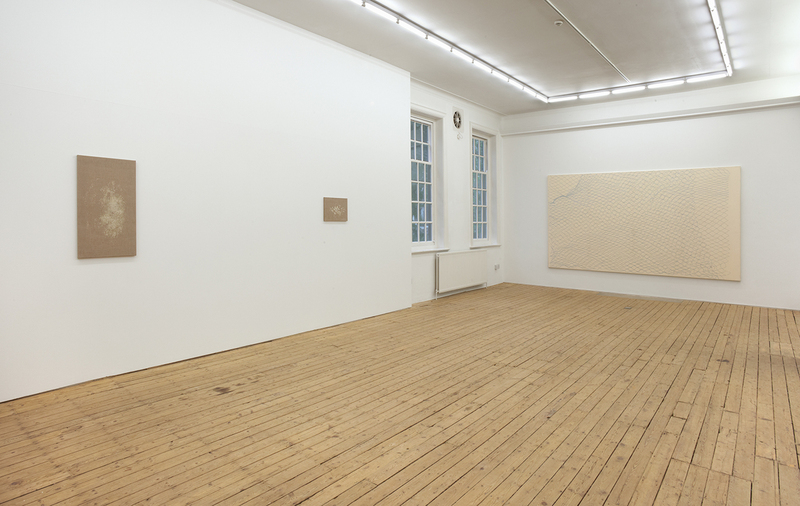 Recent group shows include: The Library of Babel, curated by Anna-Catharina Gebbers, 176 Project Space, London, UK (2010); Augentäuschung, Kunsthalle Wilhelmshaven, Germany (2010); Beating The Bounds, Art Now, curated by Lizzie Carey-Thomas and Clarrie Wallis, Tate Britain, London (2009).